The Absol did indeed catch both Pokemon's attention, although the male Seedot wasn't so sure that it wanted to partake in that fight. Of course, with his lady friend naturally weak against the opponent, what choice did he have? The pair, level fifteen and seventeen respectively, took their stances opposite and awaited a first, deciding move against them. Considering it was roughly Abyss' second battle against a foe, and the first two-on-one, Eve was surprisingly calm. Was it for her faith, or sheer stupidity? "Alright, boy. The Psychic can't touch you so go for the Seedot. Future Sight, and Bite." The orders were in place, the battle had begun. Off Absol went, in a blur of black and white. It bounded clear for the Seedot, all but ignoring the Spoink. His mouth seemed to glow, fangs glimmering with an ephemeral light. It gave him a malicious look, but the battle contained no such sentiments. It was merely a sparring fight, devoid of any and all ill feelings. But that would not prevent Abyss' eyes glowing a sensuous maroon as he approached his target. "If you don't mind I'll go up ahead already," Felix gave Eve a pat on her shoulder to give her some boost of confidence, even if he wasn't exactly interested in her, he still decided that showing some good faith couldn't hurt. After all, he was far from seeing the child as an equal, even if she had an Absol. "I'll make sure to follow the path, so you don't need to look through the entire forest to find me, okay?" The masked man sincerely hoped to see some other and perhaps slightly more interesting pokémon while going up ahead and leave eve with her full focus on her battle. If she could not handle a battle of thise level, she probably wouldn't even be considered as a decent partner anyway. "Furfrou, let's check out the rest of this forest for some interesting stuff," The man said, while rubbing the pokémon's head for a second. "Maybe we'll meet a trainer or see some useful pokémon...but first and foremost let's do what we have to do: assert our dominance in Kanto by taking on the gyms." As expected, it was the spoink which first hopped in front of the Absol, certain to protect it's little seedot mate. Even with Absol's type advantage, the Spoink wasn't going to let the mean beast get to the seedot, which was quivering a bit further up in the grass. So the psychic pokémon jumped in front of absol, though the future sight had already been sent off, the brave pokémon could still intercept the bite at great cost. The spoink squealed loudly when the dark pokémon's fangs snagged it, but at the same time it's orb glowed and a ray of bright white light came out of it, straight into the absol's direction with the aim to confuse it... not much wiggle room was left in this situation. In the meantime though, Felix had been moving on, in search of more interesting pokemon to have a go with, his Furfrou calmly following him. Moves: Splash, psywave, odor sleuth, psybeam, psych up, confuse ray, EGG move??? Moves: bide, harden, growth, nature power, EGG move??? Eve's lips pressed into a single thin line as unexpected events unfolded. Just as Abyss leaped for the Seedot, the Spoink, against the grain of its nature, intervened, and took on a fairly powerful attack it was weak to. The female's brows furrowed, and she hesitated a second. The lack of response from the trainers end wasn't enough to cause Abyss to stop, but regardless, even an agile pokemon like Abyss couldn't change polar directions without slowing down first. His paws skidded as he attempted to distance himself, but too late. A dazzling ray of rainbow light assailed his senses, causing the dazed Absol to blink and stagger about blindly. His ears were ringing, his eyes were useless. The only available senses were touch and smell, and everything smelt leafy around him. The confused Absol shook his head, trying to clear his thoughts, opening his maw to pant lightly. Of course he couldn't hear his trainers shout of concern, followed by a hesitant command of Leer and Bite, but had he heard enough? Felix, on the other hand, seemed to be having better luck than the white quadruped he had just let behind. The forest was resplendent with life, as was visible by the frequent sightings of pokemon like Lillipup, Glameow, the occasional Purrloin, and...what was that? Some 10 feet away from the masked man glowered an erratic source of heat and light, causing the nearby foliage to wither up and the drier parts to catch fire. The small glowing body was shining a luminescent orange, radiant enough to make out a hazy outline, but not a recognisable one. What was this doing here? Either way, it best quickly be identified and quelled unless Felix wished a rather toasty death to the forest and all its inhabitants. Absol had been hit at point blank range by the confuse ray, leaving it in a rather strange state of confusion and complete disarray. It did hear it's master's orders, but it's entire sensory system was so turned upside down that in his confusion Abbys missed its target with bite and rather knocked against a tree with it's head in an unsavory way. The leer however did work, with the spoink and the seedot feeling shivers all over their bodies when looking at the absol's intimidating gaze. Felix was surprised that this forest had so much more than just the usual bugs and rubbish trashing about. Noticing the purrloin and the glameow, he grinned a bit. The lillipup came as a surprise as well, as he had no idea that those where in Kanto as well, but in the end what most caught his attention was the wave of heat he could feel from a place nearby. As his eyes tried to find the source of the heat, they started to glimmer and his grin turned into an outright smile, the perfect pokemon to belong to his team was now right in front of him and he was certain that with furfrou at the helm, he could get what he truly desired. Eve cringed as Abyss pretty openly walked into the tree. 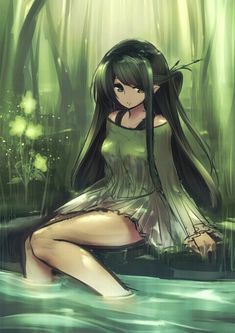 Of course, he had been going fast enough to shake up the entire tree, causing it to cascade leaves, and she watched with mounting dread as Abyss shook his now aching head in confusion, obviously oblivious to what just happened. Not that he could hear anything, but Eve's lips were more or less sewed shut now. The lack of a command might confuse Abyss, but it might also give him the freedom to try what he may. His instinct would drive him to try a Quick Attack...if his addled brain could handle the speed. The heat would only rise, condense until it could match the dazzle of a supernova. Perhaps not quite so drastic, but the fire was clearly turned up. In a sudden turn of events, perhaps stemming from Felix's lack of action, the heat dissipated in a very tangible outward shockwave, enough to send some trees toppling over with a dull crash, and likely disbalancing, or the very least unsettling the masked male. Oily black stripes, a proud fur-ruffed head; yes, there was no mistaking the noble expression the pup before the red-decked male. It was a Growlithe, surrounded by burning shrubbery. What was it doing here? As the absol seemed to have troubles with its surroundings, the spoink and the seedot tried to get away, slowly creeping into the bushes behind them. Yet suddenly, out of nowhere they both got assaulted by a flurry of psychokinetic blasts showering them in a purple light. Abyss in the meantime seemed to have a clear moment and used the precise point when the two pokémon were assaulted by its future sight to quickly pounce at the seedot and jump back. With outmost ease the seedot had been knocked out, but the spoink was still in the running, suddenly surrounding itself with a strong gust of wind, which sent the seedot rolling into the bushes and threw the absol of its feet into Eve's direction, after which the spoink managed to hop away into the bushes as well. Feeling the heat on his face, Felix couldn't help himself as he was grinning in sheer delight at the sight of a wild growlithe. He beckoned his Furfrou to get ready, motioning it to slowly go towards the fiery pokemon. "Alright Furfrou, let's start with a bang," The masked man suddenly yelled loudly to gain the growlithe's attention. "Use growl to open up this game and follow up with a deliciously magnificent Echoed Voice!!" Absol grew to level 17 with 2 exp remaining! "...Huh?" While still new to the whole fast-paced battling of a real fight, Eve blinked in confusion. The finale wasn't quite the wonderful triumphant end she was hoping for. Were all battles with Abyss going to be anticlimatic? The first few minutes were nail-biting, before abruptly ending in a spectacular show of power. The Absol padded over, purring for attention and praise. The teenager's hand rested over a sphere in her bag - a pokeball. Hesitating for a minute, she pushed aside the notion almost carelessly. "Good boy, Abyss. You really won that fight!" Suddenly remembering the outright victory, she loudly exclaimed, grabbing the quadruped's head in both her hands and lightly swaying back and forth. The purring intensified, and Abyss pressed his nose to hers, bright crimson eyes staring into dark emerald ones. A toss of its shiny fur and a rather disdainful sniff was all the response Felix got out of the Growlithe, but a close observer would have noticed something akin to agony in the Fire type's eyes. Yes, it was there. The occasional muscular twitch, but the unmoving body. A pokemon in pain, but too proud to show it. It was a sign of loyalty and honour, but that did not matter. Stepping forward with its best paw, the Growlithe unleashed a flurry of Embers at the growling Furfrou, ready to take any threat head-on, even if it was a fluffy white dog no bigger than itself. Annoyed by the entire fact that the growlithe seemed to ignore both the leer and the loud howl his furfrou unleashed, Felix got quite annoyed and showed it by grunting a bit before calming down and letting out a deep sigh. "Well, if this guy ignores us, we'll just have to shake him up some more," The asked man looked at Furfrou, who seemed to be equally annoyed and frustrated to boot. "Use Echoed voice again and follow up with a headbutt, show that growlithe what kind of pokémon you truly are." Shaking its head in disbelief and slight confusion, the furfrou yet again inhaled deeply and prepared to let out an even louder bark than he had done before, ready to leap at the growlithe at a moment's notice as well. The Growlithe had only cringed at the first howl - a sound it was rather used to, but was jarring nonetheless in its current pained state. Little was its faith in humanity, and this seemingly uncaring man was doing nothing to find out even why it was in pain. The second bark, he was more prepared for, flattening its fluffy ears to minimalize the damage, but it was caught off guard by the sheer incremental power of it, enough to be thoroughly and completely caught in the full blast of the Headbutt. Furfrou was not a frail pokemon, and a strong strike from its tough head sent the little puppy flying. When it landed several feet away, dusty and whining, it had no fight in it left. Two strikes were all it had taken to bring down the pokemon who had seemed determined to give a fight as good as it got. What was wrong? A few minutes of lingering and checking up on Abyss' - minimal - injuries, and Eve thought it good to go. Tough little 'sol didn't even need a potion. "Come on, let's catch up to Felix," She said, to no one in particular. Abyss nodded silently, philosophically, before padding along the girls side, sharp eyes sweeping the undergrowth for any other potential contenders. With just two strikes the growlithe was down, which sort of took Felix aback. No matter how old or experienced a growlithe was, they were fierce and stubborn, never giving up as easy as this. He might've been arrogant and vain, but that did not mean Felix did not have a heart for the pokémon that truly interested him. Deciding that for now enough was enough, he called furfrou back to his side as he got closer to the growlithe. "Chansey, come out!!" The masked man waited for his chansey to get out of her pokéball, hoping that the pokémon known for its healing and understanding of other pokémon and humans alike could find out what was wrong and perhaps even heal whatever was ailing the growlithe. While Eve had intended to catch up with Felix, the rustling of leaves in the bushes would certainly draw her attention, even better was the fact that just seconds after the rustling of leaves, her absol would be standing face to face with a Snivy holding a razzberry in its tiny arms. The tiny grasspokémon looked at the Absol for a second, suddenly turning it's head with an air of arrogance and decided to move on. Eve was busily running along the dirt path, wondering how the seemingly classy man ever bothered to get his boots dirty. He struck her as slightly arrogant, and she giggled at the mental images she was getting of him turning up his nose at all the dust and general earthiness of the area, doing the ground a favour by treading on it-- huh? Abyss grabbed on to the edge of her apparel, halting the girl's advances and rudely interrupting her thought process. It seemed yet another pokemon had come across them, and this time it was an elegant Snivy. Ooh, do want. However, the proud grass type seemed to have little interest or regard for the duo, and turning up its nose at them, proceeded with clearly more important matters. It stung that a berry was placed over the general value of herself, and Eve pouted. No words were exchanged yet, and already Eve had begun feeling aggreived. Abyss, however, followed the stalking serpent with unbridled curiosity, going so far as to try and nip at the retreating Snivy's forked tail. The Growlithe had begun coughing, shaking his head in utter confusion and pawing at his ears. Neither Furfrou nor Chansey seemed any different, but whatever it was seemed to be affecting a nearby Pidgey as well, as the disoriented bird fell right out of its perch, falling to the ground in a protesting pile of feathers, before groggily getting to its feet and unsteadily flying off. Was there something poisonous in the locality? Either way, something had best be done quickly, as the fire type's agitation was causing the heat to be amped up. Once again, waves of heat rolled from the Puppy, lighting smouldering fires afresh. Felix looked at the growlithe, while noticing the pidgey fall down like if it had just decided to do so. It was indeed strange, but the most annoying part without a doubt was the heat produced by the growlithe. "They almost seem to be drunk or dazed by something, probably some pokemon using aromatherapy or something and these guys have been hit by it...probably," Deciding to be safe rather than sorry, the masked man grabbed two of the marked pokeballs in his vest, pushed their buttons to enlarge them and recalled both furfrou and chansey. "Better safe than sorry, hmm?" Going forth on that adagio, Felix took one of the unmarked pokéballs he had in his bag, enlarged it by pushing the center button and threw it at the growlithe. "I'll have them take a look at you in Pewter, but for now...you're mine." As it was slowly walking to the bushes at the other side of the road, the snivy was completely unguarded and as such did not react until it could feel some pretty sharp fangs accidentally dig into it's leaflike forked tail, letting out a loud scream before turning around with it's cheeks slightly puffed up and two vines suddenly sprouting out of its body, angrily whipping around to threaten the Absol. A wild pokémon has attacked!! Of course, with the minimal attention the fire type was paying to the human, it was no difficult task for the sphere to enclose the weakened Growlithe, though it did madly wobble before having the motions weakly fade away to a slow spin about the axis. Evidently the canine had resigned itself to its fate. Congratulations! You caught a Growlithe! Abyss jumped back with a surprised chuff. Eve smiled; that was a cute sound. That aside, she had to shake her head again to clear her thoughts. "Abyss! That's not nice, don't bother the little- oh!" Eve herself instinctively raised her hand as the Snivy revealed two sharp-looking whip like vines. Abyss bristled silently, and the female trainer braved a couple of steps to come stand beside the quadruped, looking uncertainly at the enraged grass type. Snivy were extremely egotistical, and it was unlikely this one would take the insult lightly. Darkrai preserve me, with a silent prayer, Eve plastered a watery smile on her face. "H-Hey, now. Don't be mad. Hehe, sorry 'bout that. Here, would you like a tasty sweet?" She began rummaging in her bag for a Sweet Heart. Putting the pokéball next to the two others in his vest, Felix decided to go back to the road and wait for Eve there. As he took a few steps, the masked man sighed while looking at the dirt, grass and dust which had clogged on his boots. "They know rock polishing at Pewter city, so why not some boot polishing, because I really do need that." The snivy looked at Eve, turned her nose away yet again and got its attention back to the absol. When it wanted to teach the dark pokemon a lesson though, the tiny pokémon was offered a sweet heart cookie by Eve, but this was obviously not the best approach. If Eve had looked carefully, she'd noticed that the snivy was holding a razz berry, which has a rather dry spicy flavor, meaning she was offering the snivy something it most likely didn't like to eat at all. However, as there was no immediate threat, the snivy slowly backed down, still keeping its vines at the ready. Unfortunately, observation had never really been Eve's forte - in times of pressure! While that could be consolation for the preservation of the shreds of whatever ego the teenager had, she continued holding out the sweet with an uncertainly that practically rolled off her. Abyss had a mildly disgusted look on his face, and finally headbutted her hand gently to get her to put the sweet away and stop trying to hypnotize the Snivy with an unwavering, but nervous glance. Eve huffed, putting away the little delicacy - she didn't understand. It should have been irresistible! Who refused a sweet?! On the other hand, Abyss was back to curiously surveying the Snivy, plucking enough courage to go closer for a second attempt at a sniff. Since it was established that the leafy pokemon was not edible, it was unlikely that he'd try to take another nip, but any presumptions could only be sympathized with. The Absol was clearly not taking the vines seriously. While Felix was waiting for Eve to finally show up, he decided to call an associate of his, after all...he planned to stay a while in Pewter city, so it was best to make some minimum arrangements. "I don't care how you manage it, I need a place for a few days. I need to explore Pewter city a bit, challenge the gym and perhaps check around if there's anything worth catching in the neighborhood." It wasn't easy being part of HG's team after all. With Eve finally getting the hint thanks to some enforcing done by Absol, the snivy's attention went back to Abyss, still rather annoyed by that pokemon after all. The fact that it started sniffing the pokémon made it's cheeks grow bright red out of embarrassment, causing it to instinctively be filled by the desire to smack some sense into the rudely behaving absol. As a response to that overwhelming desire, Snivy's vines grew longer and suddenly lashed out towards Abyss' nose, showing just how much the snivy was being annoyed by the dark type pokemon's presence and behavior. Before Eve could ask Abyss to behave, at the obvious embarrassment of the Grass type, the Absol jumped back with a sharp chuff. The Snivy had attacked with blinding speed, even looking so angry as to be inflated slightly. The scything whip had caught Abyss on the nose, an incredibly sensitive spot, especially for canines. Pokemon led with their noses, and it was the first thing to come in contact with anything. Fury flitted across the contrasting face, anger as dark as the quadruped's skin, and Abyss leaped forward with a sound akin to a roar of rage. His fangs glowed and elongated, and the Disaster pokemon was clearly trying to land a vicious bite on the offending snake. The snivy seemed rather selfabsorbed with its feeling of superiority when it landed its swift vinewhip attack upon the poor absol's nose, yet when the quadruped pokémon let out a loud roar, the tiny snivy backed off a bit. sadly it did not back away fast nor far enough, having one of it's vines viciously gnawed at by the absol's sharp teeth. In a desperate move, the Snivy seemed to grow a bit yet again, a green shimmer forming around it. While letting out a wild and loud outcry, the tiny grass pokemon became envelopped by a tornado of sharp, fast moving leaves which it used in a rather smart way as both a defense and a deterrent. Felix wouldn't be standing idle for too long. Small rustling sounds could be heard, slowly growing in volume. Life was curiously exploring again, already recovering from a raging, but short-lived fire. Several conventional pokemon like Oddish and Nidoran stepped out, but there was a rare Ducklett and even a Gulpin. Lastly, even a Blitzle stepped out, regarding the male human with large brown eyes before snuffling the Oddish, whinnying in friendship. A ray of sunlight struck the ground, and some foliage moved. What was that greenish-blue limb sticking out? Once again, the deceptively strong Snivy made Abyss cringe and back off. For it's size, it was putting up a hell of a fight. Eve had heard of the lithe grass-types' strength, but this solitary pokemon was giving Abyss a harder time than the double battle had. Almost as though in disbelief, she saw the Absol hurtling through the air and crashing some ways off into a tree trunk. The storming flurry of leaves subsided, and Eve could see that, despite looking intimidated and wary, the Snivy was hardly hurt. Tough little thing. Her brows furrowed, and a grim look set in her face. The Absol picked himself up, growling. He could feel the waves of emotion coming off his trainer, and suddenly cringed as the shoulder that had taken the brunt of his collision lit alight with pain. He saw his trainer look around in concern, clutching her own shoulder before questioningly tapping it. Gritting his teeth, the Disaster pokemon stood up straighter. Respect. Awe. Frustration. Will. He could feel them. Exhaling lightly, he fixed his gaze on the Snivy, said gaze turning pink. The future...what would it hold? Victory? Or defeat? Without waiting for the conclusion, he broke forward in a flurry of movement, paws thudding as he aimed to strike the Grass type with a Quick Attack. Felix looked at the pokémon around him, but rather than reacting, he just sighed and waited for his travelling companion to finally show up. Just like before, the girl was not exactly making a good impression when it came to being on time. The snivy huffed at the Absol after it had landed rather badly when it got his by the violent tornado of leafs. Alas it did not have the time to do much more than wonder what the pinkish hue in the absol's eyes meant. An instant later, the grass pokemon was smacked aside by the disaster pokemon's quick assault, throwing aside the serpent-like pokémon with relative ease. Struggling to get up after hitting a tree behind it, the snivy huffed yet again at the disaster pokémon, lifting up its tiny arms holding the berry while letting out a cry, suddenly many leaves around it started to shimmer and float up into the air, until the snivy dropped down it's tiny arms, at which point the colorfull, shimmering leaves seemed to be hurled towards the absol. Eve couldn't take it any more. Emotions permeated to her quivering voice, and gave way to an explosive order. "Abyss, dodge!" The Absol started at the suddenness of the sound, but acknowledging the command, swerved aside. Strangely, the scything leaves seemed to be following the loping Absol, until they finally caught up, evidently having had enough of trailing like ghostly spectres after him. Abyss was beginning to numben to the pain, and besides a slight cringe, he was back at the charge. "Easy, boy, don't hurt her too much," A mild warning by Eve had the Abyss raise his head so his horn wasn't pointed at the Snivy. Future Sight would descend soon enough, and he knew it to be a powerful attack. "But let's keep her busy. Feint!" Smirking, and glad to keep moving - his joints were beginning to stiffen, and he knew he'd ache all over tomorrow, probably much like the Snivy - he dissipated into the shadows. The Snivy was breathing heavily, feeling the pain of the various attacks from the absol taking their toll. Though to her great annoyance, the absol didn't give up just yet, even when it was hit by her magic leaves, it continued to soldier on. And that very persistance seemed to pay off, when the snivy couldn't react in time to the absol's vanish and reappear act, it's claws scratching the snivy's skin and slapping it aside like a ragdoll. However, that was but the beginning, as when the snivy stood up again a massive ray of purple colored energy seemed to strike it from above. When the smoke cleared, the snivy was obviously in such a bad shape, that it had even dropped its berry and was struggling to remain conscious.